The Shure SM86 has been specifically tailored to meet the demands of rigorous touring and live sound applications. It features an internal 3.. The Shure SM86 has been specifically tailored to meet the demands of rigorous touring and live sound applications. It features an internal 3-point shock mount to minimize handling noise, and a 2-stage pop filter to reduce wind noise from outdoor venues or a busy live stage environment. The Shure SM86 is ideal for a lead vocal artist. It is most suited for performances on stage but is equally at home for use in the studio. 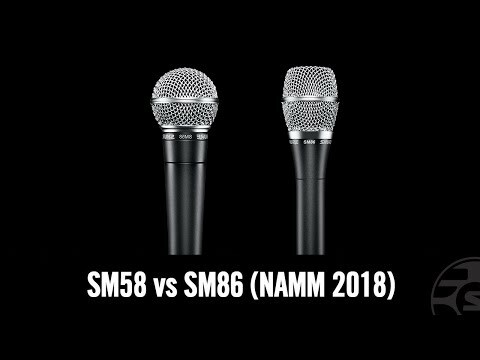 Shure SM86 Vs Shure SM58 – Which Mic Is Best For Me?